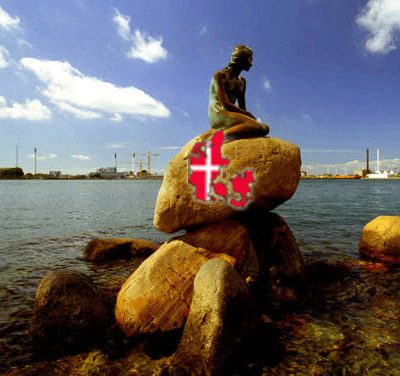 The Little Mermaid Denmark is the largest tourist attraction and National Symbol. Who don't know The Little Mermaid Denmark? 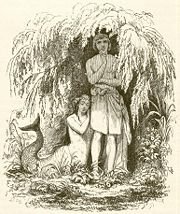 (Danish name- Den Lille Havfrue ), Hans Christian Andersen wrote fairy tale about her in 1837 and later Walt Disney produced the movie. Every year some millions of people visit her and thousand of souvenirs and t-shirts are sold to tourists. It is real National Symbol of Denmark - she is as important for Copenhagen as statue of liberty for New Your and pyramids for Egypt. She is probably the most famous Danish lady. The Litte Mermaid Denmark is wonderful creation of Famous writer Hans Christian Andersen. She is a clear image from our childhood. The Little Mermaid has provided inspiration for many generations. All kids know our bellowed fairy tale about the Little Mermaid who at age of 15 saved the life of shipwrecked prince and fall in love with him. But to become a human the Little Mermaid has to give up her lovely voice. (However ,in most of the folk traditions , mermaids are hostile to all men from surface. Mostly in folklore they lure sailors to deaths. Take for example such significant story like Odyssey. The singing of the sirens is so beautiful that men jump into the sea ). But the history of the Little Mermaid wasn't so easy . The idea to construct such monument came to Brewer Carl Jacobsen founder of probably best beer in the world - Carlsberg. He asked sculptor Edvard Eriksen( Naturalistic sculptor . 1876-1959) to create this splendid sculpture. 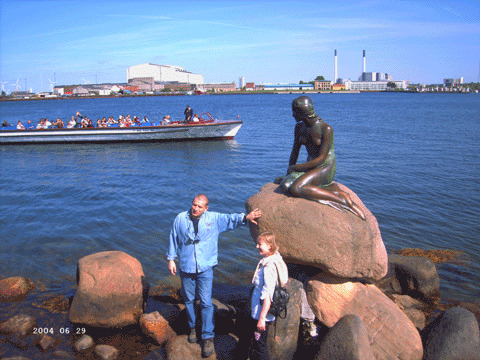 And as the result 23 August 1913 Carl Jacobsen made generous gift to Copenhagen city- bronze sculpture of the Little Mermaid Denmark ( which weighs 175 kg ). Still exist some uncertainties if Ellen Prince ( Sole dancer at the Royal Theatre 1903-1913 ) really modeled for this sculpture. Exist an opinion that Ellen didn't want to pose naked , and Eriksen had to ask his own wife to pose instead of her. But anyway the head is exact reflection of Ellen Prince. The impression from this sculpture is actually controversial. And frankly speaking mostly people find her too SMALL. Because this Great monument is only 1,6 meter high. And she is supposed to disappoint you . Like a millions of other people. But still it is worth to visit the Little Mermaid Denmark because it is really impossible to imagine Copenhagen without it. The Little Mermaid of Denmark survived the Great Depression and the world war 2 , but modern times haven't been so kind to her. She was frequently defaced and vandalized. 24 April 1963 --she was painted with red paint. In the night 23-24 April 1964 unknown vandal cut off her head . Police couldn't manage to find it . One joker , Danish writer Jorgen Nash told that it was he who has committed this crime . He gave metal box to Danish national museum and told that the head inside. But unfortunately due to Danish law . They can open the box only 50 years after this person will die. And he is still alive . So this is really joke with long beard. 15 July 1976 - she was drenched with same color paint again. 22 July 1984 - her right arm was cut off. Some days later two man return the arm. They told that they had amputated the arm then they were deadly drunk. 5 August 1990 - was discovered the attempt to cut off again the head to lady. 18 cm long cut . 6 January 1998 - the Little Mermaid lost her head for the second time. 11 September 2003 - she was knocked down from her stone . All tourists were shocked then discover haven't found Famous Danish lady at her usual place. For now it is still very acute question . 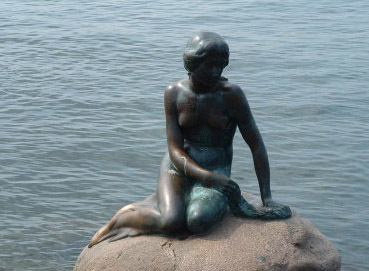 Officials in Denmark is considering moving this famous landmark - the Little Mermaid Denmark sculpture- in order to protect it from tourists and vandals. They are planning to move here several metres offshore. "It is natural way to protect her. We are doing a preliminary inquiry to see what would be required from both an aesthetic and an economic point of view. We should have a clearer picture by this spring or summer" said Jens Peter Munk- Copenhagen's keeper of public monuments. Many tourists from all around the Globe arrive to Denmark because they want to meet most famous danish lady.